Korean heartthrob Lee Min Ho once more charms the hearts of many Filipinos, this time in the cover of a magazine. 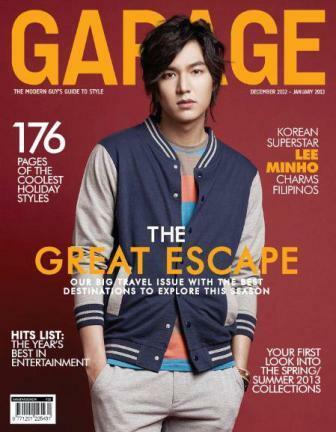 Yes, Min Ho is in the cover of Garage Magazine for their December 2012 / January 2013 issue. The magazine is also their special holiday offering which features 176 pages of the collest holiday styles. Nice!